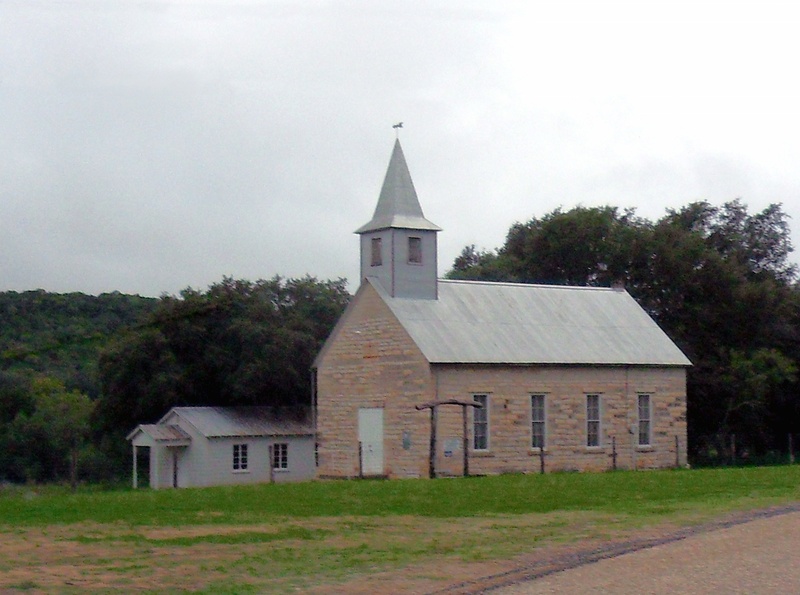 In the mid-1800s, a large number of Germans settled the Hill Country around Austin and San Antonio. 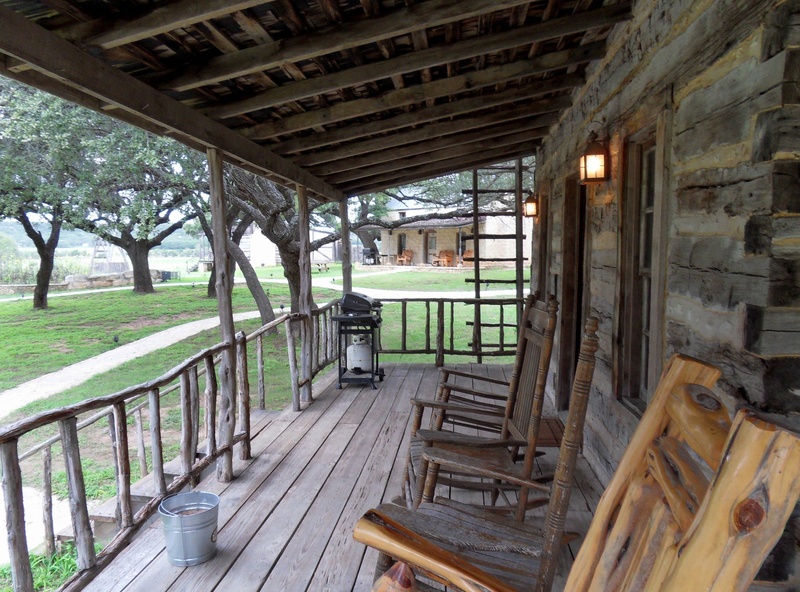 Since then, they’ve assimilated with Texan/American culture, but they still celebrate their German heritage. No where is that more evident than in the town Fredericksburg. Back in 2009, I drove down there with a couple of friends. 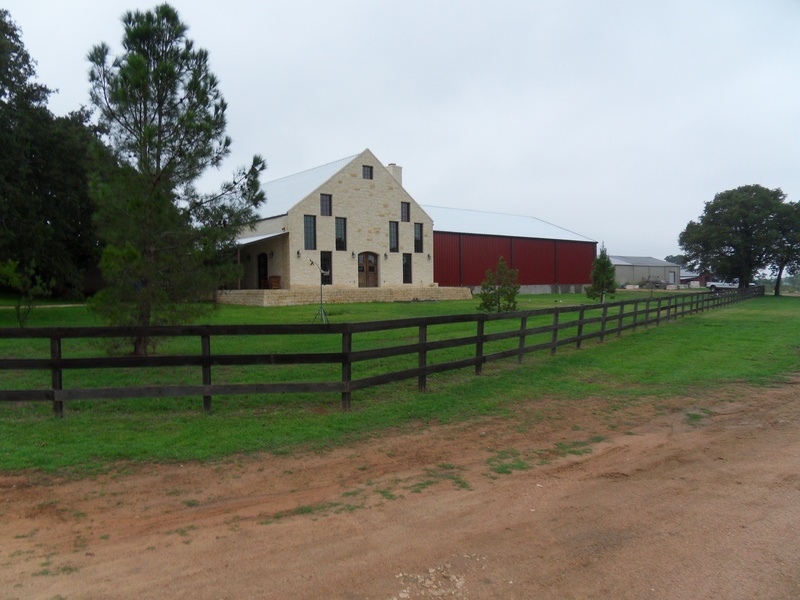 We stayed on a ranch outside of town and went to the Oktoberfest celebration. It was drizzling rain the whole weekend, but we still had a lot of fun. 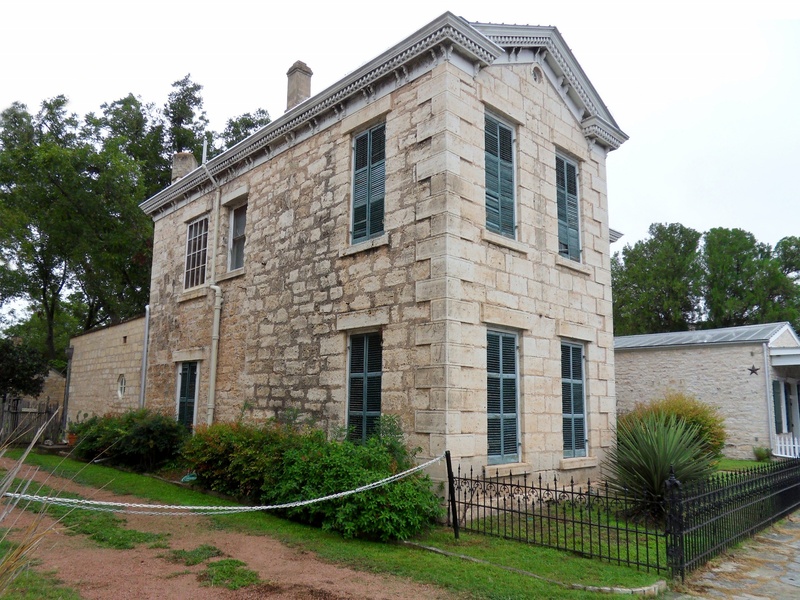 This is the kind of cool old stone house that you just don’t see in Dallas. 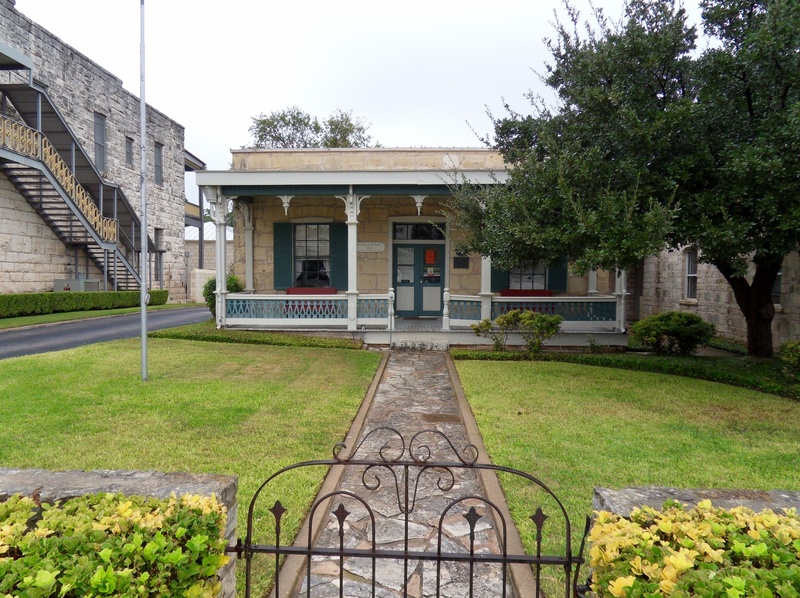 A small Fredericksburg law firm in an old house. A very narrow alley just off the main drag. 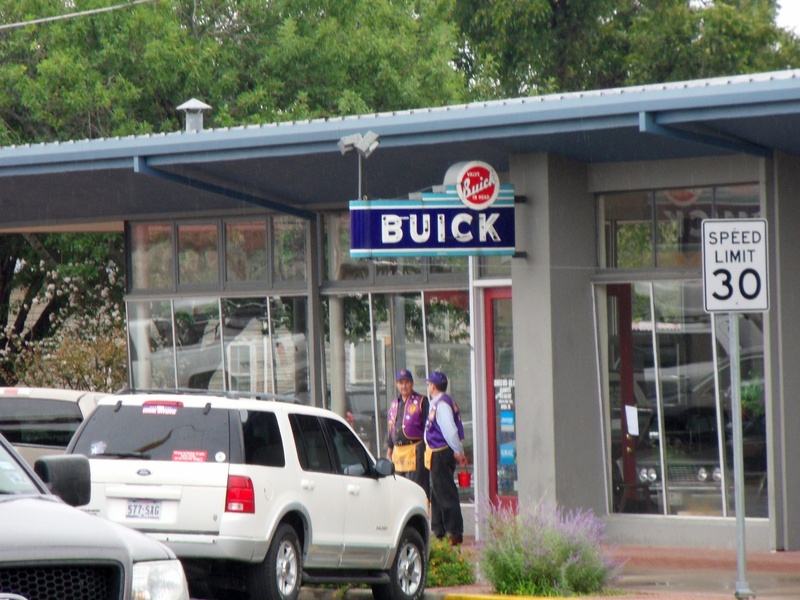 I love this retro Buick sign. 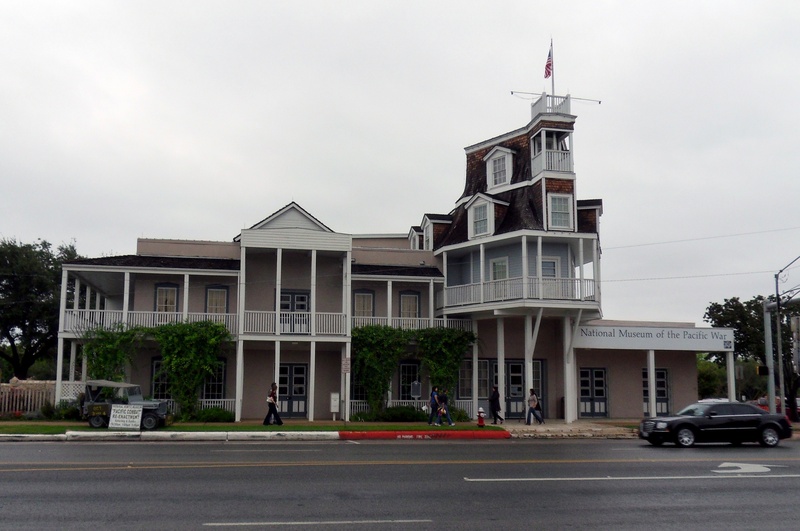 Fredericksburg is the hometown of Admiral Chester Nimitz. 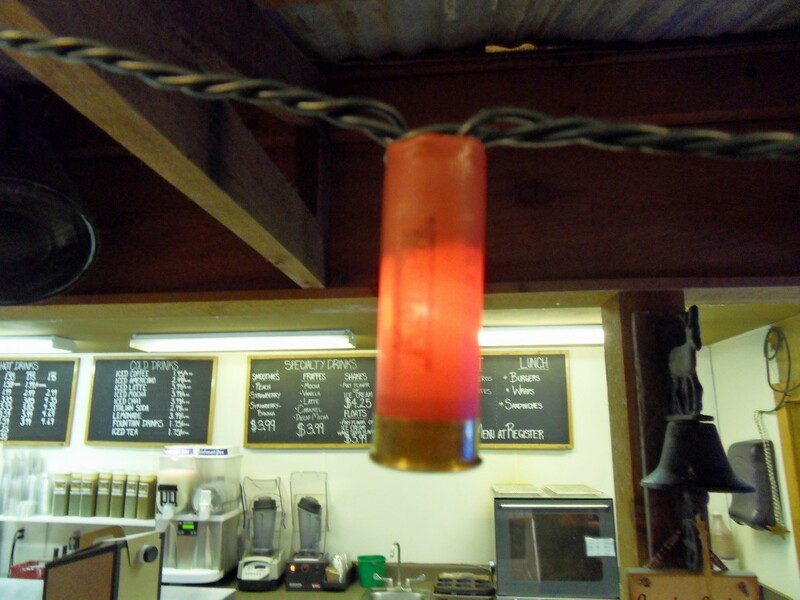 The coffee shop there had these shotgun shell lights. 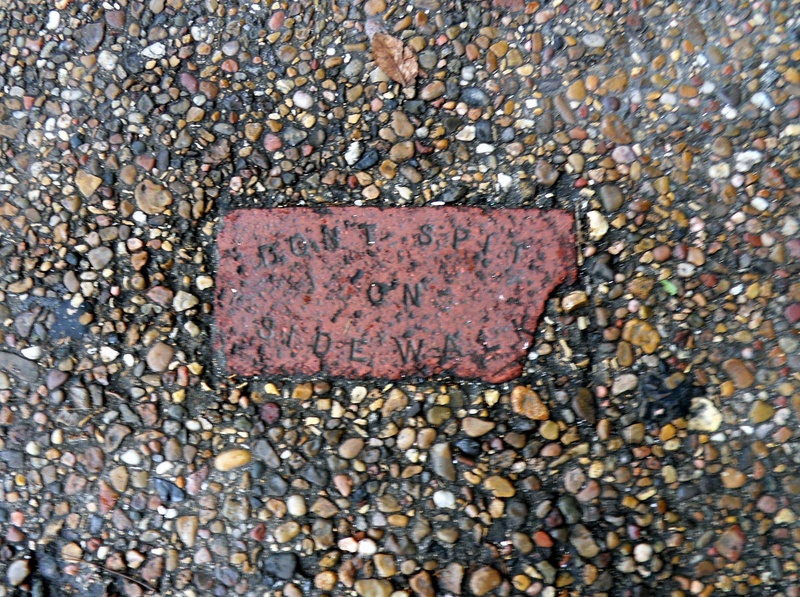 Don’t spit the on sidewalk in Fredericksburg. 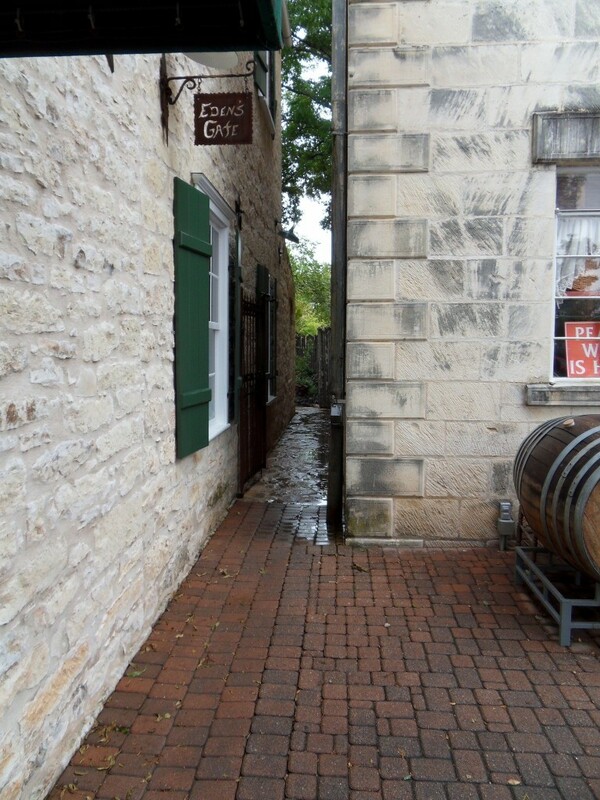 We stopped at a winery just outside of town. A tiny little chapel out in the country. A black cat lived outside our cabin. 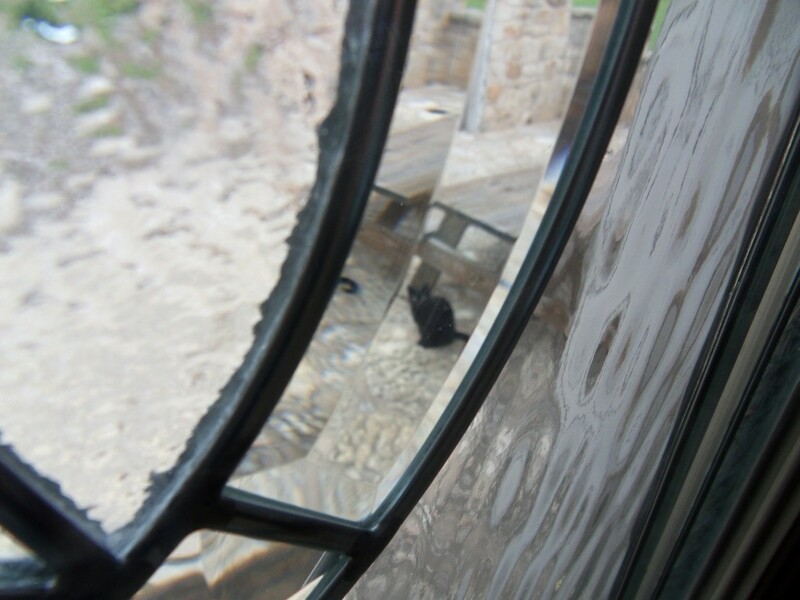 Here he is looking through a leaded glass window.